Sri Lanka will not allow itself to be drawn into an attempt to retain a declining global hegemony, said Sri Lanka’s ambassador in Russia Dr. Dayan Jayatilleka said. Jayatilleka added that Sri Lanka was concerned as there are very clear policy prescriptions made from certain capitals of the world. “But since we live in the time where there are voices which tell your President what should be done in your country, we are not surprised that there are those who try to tell us and our elected President what we should do in our country. There are some who actually have media conferences and tell our elected President, what he should do and when he should do it. These are the same voices. Sri Lanka will not allow itself to be drawn in to an attempt to retain a declining global hegemony,” Dr Jayatilleka said, briefing top Russian officials in Moscow on the political developments in Sri Lanka. 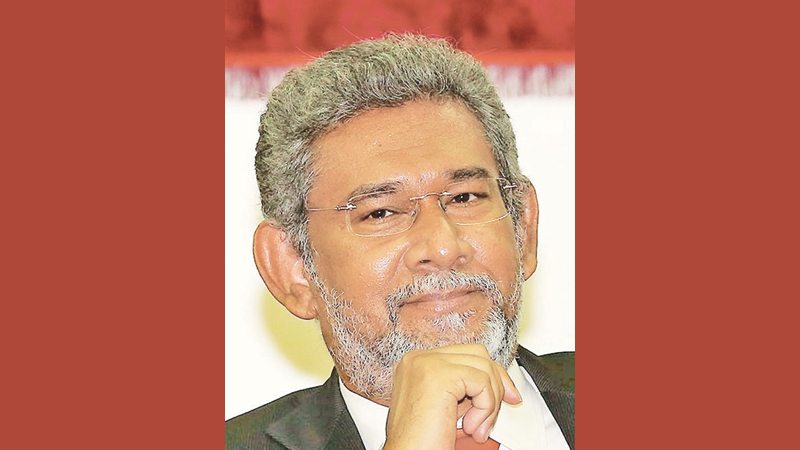 Dr. Jayatilleka made it clear that the Executive was supreme under the Sri Lankan Constitution. Excerpts from his speech: “From your own experience you know that there were certain tendencies that prevailed in Russia in the 1990s, which were going in a certain direction but the Russian people decided to make a course correction and to return to the path that is mostly suited to the national and the state interests of Russia. We have been going through a similar experience ourselves. And now there is a moment of political complexity, even political tension, political struggle between these two tendencies that you experienced in the 1990s and at the dawn of the twenty first century. We are seeing in Sri Lanka today certain efforts on the part of certain players, which remind us of what happened during the so-called coloured revolutions, and the so-called Arab spring.